Please note that our sweets will be available at 7:00 am, but our bread will not start coming out of the oven until about 10:30 am. You can always call ahead to make sure we hold a hot loaf for you, and you can pick it up any time that day after 10:30 am! This month, we will donate $3 for every bunny sold to Diamonds in the Ruff and Wayne County Animal Advocates. Join us in helping out these two non-profit organizations who find loving homes for rescue animals. Also, bring items from their wish list on Wednesday, April 17 or Thursday, April 18th to our bakery and receive a FREE COOKIE! Pre-order for your Easter Dinner by Wednesday, April 17th! 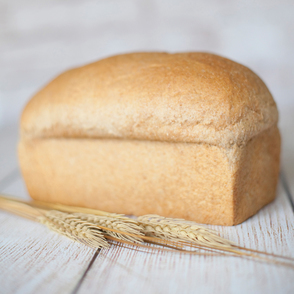 We can make any sandwich loaf into a round loaf, we can make any loaf into a half size loaf, and we can leave any sandwich loaf of bread unsliced with advance notice. Thursday: Dillon Cookies, Snickerdoodle and/or Frosted Sugar Cookies, Strawberry Shortcake Muffins and Teacakes, Peach Strawberry Scones, Cashew Crunch, Cheddar Biscuits, Cinnamon Rolls. 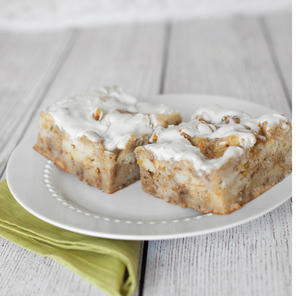 Enjoy this extra tasty made from scratch bread pudding as an extra special treat for yourself. 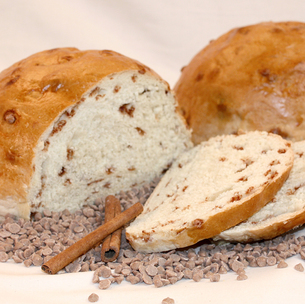 Made from our popular Cinnamon Chip bread! Enjoy the sweet goodness of cinnamon chips in every bite. Flour, cinnamon chips, honey, and ground cinnamon. Makes a heavenly French toast. Also makes a great gift when wrapped in a tea towel or cellophane (extra wrapping charges apply). 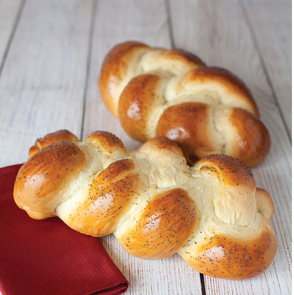 Be sure to order a Bread Kiss with Cinnamon Chip for your teacher gifts! Just like the bagel! A savory blend of Sesame, Caraway, Flax, Chia & Sunflower seeds along with garlic, onion & pepper. 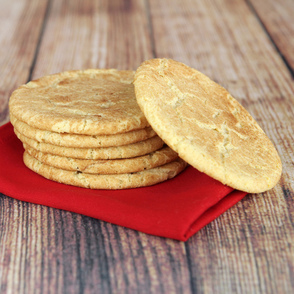 A crunchy yet chewy sugar cookie rolled in cinnamon and sugar. Delicious! This light and fluffy loaf is great for sandwiches, French toast, or just toasted with butter. Pucker up! 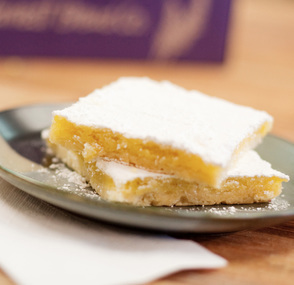 Just the right amount of tang and sweetness in these lemon bars. 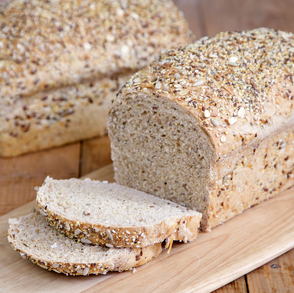 The best whole wheat bread on this plant! 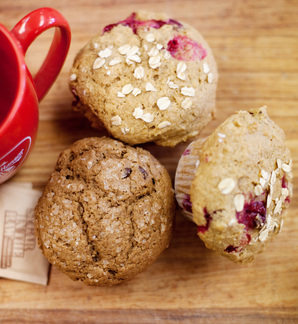 Made from five simple ingredients - water, salt, yeast, honey, and 100% fresh milled whole wheat flour.